August 23, 2018 – Houston, TX – Stars of HOPE®, a unique disaster relief and community arts project, is coming to Houston to celebrate the resiliency of the city and its people one year after Hurricane Harvey and its devastating floods. 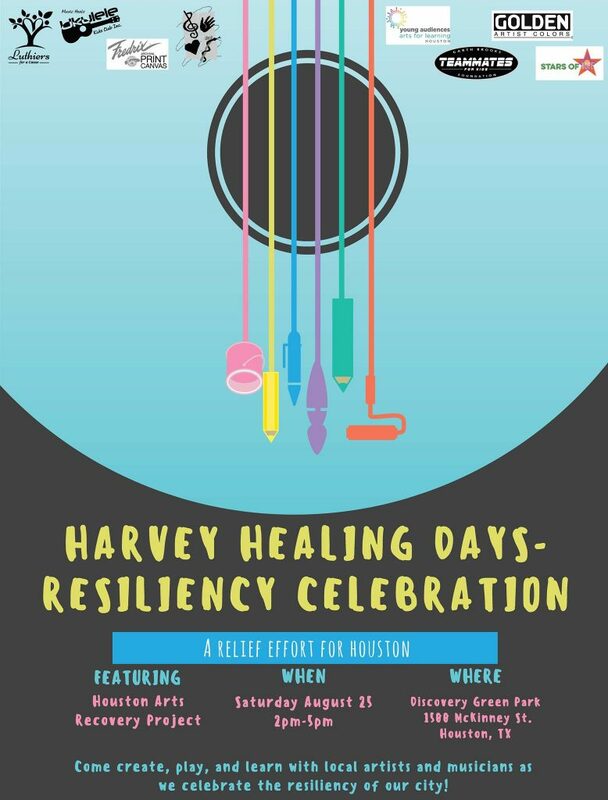 In coordination with the Harvey Arts Recovery Project, Stars of HOPE will be hosting a community paint event during Harvey Healing Days on August 25 at Discovery Green. Community members are invited to paint and share inspirational messages on one-foot wooden stars that will aid in the continued emotional recovery of Houston. The stars will be displayed across the city to serve as beacons of compassion and spread messages of hope and healing. This event is free and open to the public. Where: Discovery Green, 1500 McKinney Street. When: August 25 from 2-5 p.m.
Photo Op: Hand-painted, colorful and cheerful Stars of HOPE will be painted by local families and children. The stars being used for the Harvey Healing Days community paint project are sponsored by the Ann Nicole Nelson Memorial Fund. The Ann Nicole Nelson Memorial Fund strives to keep Ann’s memory alive and connect her legacy to meaningful service projects. Ann Nicole Nelson, a North Dakota native, died in the World Trade Towers on September 11. Stars of HOPE® USA empowers people of all ages to transform individuals and communities through the power of art and personal messages of hope and healing. Since 2007, over 90,000 hand-painted Stars of HOPE have lifted the spirits of disaster survivors in 220 communities and 26 countries. Stars of HOPE® is a registered trademark of the New York Says Thank You Foundation.